Connect back-office commerce processes in real-time with Marello Unified Commerce Management. Manage sales channels, gain insight into orders, inventory, fulfillment, customers and more. 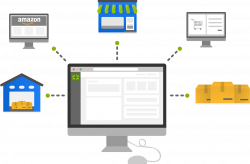 A unique unified experience allows shoppers to buy anywhere, fulfill anywhere, and return anywhere with one piece of software, one single version of the truth. Deliver a seamless customer experience. With Marello Unified Commerce Management, data across sales channels are gathered in one unified platform. No irrelevant features or inflexible processes: nothing will slow you down. From an order being placed to an order being delivered to your customer. Register, manage and follow the complete order process from start to finish. One centralized platform for your Order Management processes. Control and oversee your complete inventory, no matter the location. Ensure sufficient inventory levels in all channels, purchase new inventory and divide it among your stock locations. Equip yourself with powerful at-a-glance control over your inventory. Analyze data and create reports to reach business goals. Set up analyses to get the information you need to monitor your business, and improve your workflows for optimal results. Marello is built as an open source product. The core code is adaptable to the way you run your business. Whether you scale up or down, add or erase processes, it’s possible. Marello’s workflows make it easy to configure your business processes on the go.